As the company looks to thwart resellers, it sometimes hurts buyers who aren't out for a profit. 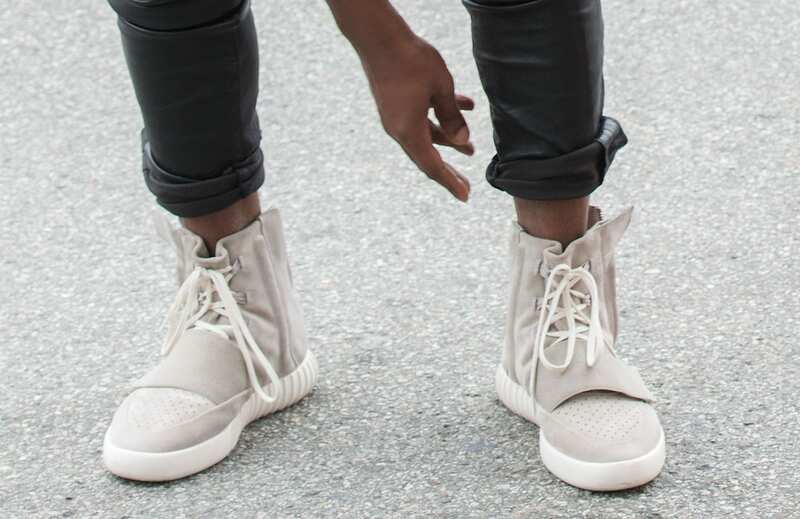 Buying Yeezy Boost sneakers online is tough. It comes down to this: Supply cannot meet demand. The shortage is so acute that if you don't buy them at launch for retail price -- between $200 and $350, depending on the model -- you'll have to pay upwards of $2,000 on eBay or another site to get your hands on a pair. Reselling Yeezys has become a business, and both Adidas and Nike (with its retro Jordans) are turning to tech to make the shopping experience fair and safe for everyone. Unfortunately, leveling the playing field for customers is easier said than done. Right now, Adidas releases the highly coveted Kanye West-designed shoes on its website and through its Confirmed app, which lets iOS and Android users in Los Angeles, Chicago and New York City reserve a pair for pickup at a nearby retail store. The problem with these methods is that once Adidas takes to Twitter to announce the sneakers are up for grabs, the company struggles to keep up with the heavy online traffic that follows. Seriously, you probably have a better chance of winning the lottery than getting to the purchase or reservation page. To keep it fair and, most importantly, stop resellers from hoarding all the stock, Adidas limits Yeezy Boost purchases to one per customer. At least that's what the company's website claims. But as Adidas searches for the right formula to contain people looking to make a profit, the sportswear juggernaut appears to be hurting honest buyers. Judging from personal experience, Adidas is going beyond the one-per-customer restriction on the site. 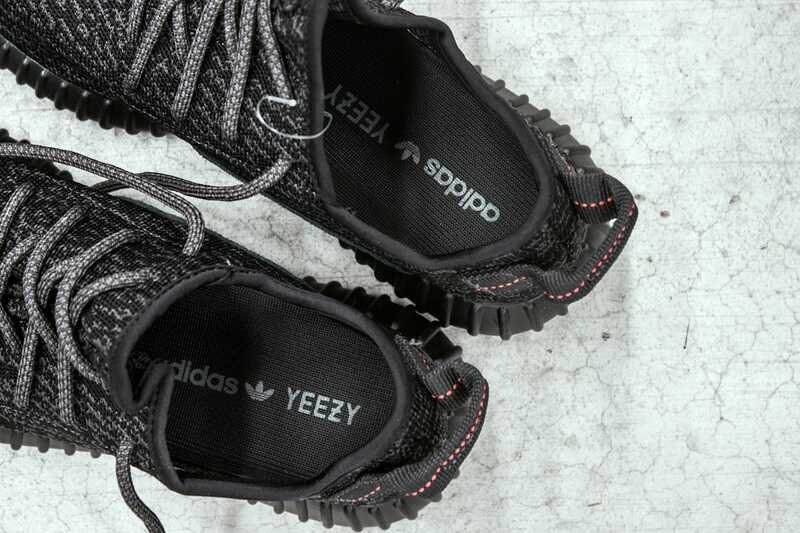 Its checkout system blocks the use of duplicate credit cards as well as email, billing, shipping and, interestingly enough, IP addresses on any Yeezy order. Sure, you can argue that's a reasonable way to give everyone a fair chance to buy the shoes. However, that becomes a problem if you have other people living under the same roof. For example, during the latest Yeezy Boost 350 "Pirate Black" release, on Feb. 19th, I had been waiting for almost two hours for Adidas to flip the switch on the launch. After it did, it took another hour to pick my size, enter personal info and, last, check out. (By the way, by no means was that a smooth experience, as the site kept crashing, leading to what seemed like a never-ending loop of page refreshes.) Until then, I had never been able to buy a pair of Yeezys from the Adidas site. At the same time, next to me in my apartment was my wife, who also wanted a pair for herself. Like me, she had waited hours to see that rare sight: Adidas' checkout page on Yeezy Boost day. But that Friday, she did. As she entered her information, her face radiating, she clicked that glorious "Check Out Now" button, only to be denied. We stared at each other, trying to figure out what we did wrong. The credit card numbers were right, and so was the billing address. I called Adidas' customer service to figure out why her order didn't go through. On the phone, an Adidas representative told me her order was blocked because the same credit card had been used for another Yeezy Boost order -- the one I had placed minutes before. To be safe, before attempting again, the rep suggested changing any other information that may be the same. So we entered our debit card number instead and a different shipping address; the billing address had to stay the same, otherwise the bank would block the transaction. That didn't work either. I called again, and another representative -- one who claimed to work "closely" with the Adidas Originals team, the group in charge of the Yeezy Boost brand -- said the system was likely blocking my IP address because I had already placed an order. In other words, Yeezy Boost sales aren't one per customer but rather one per IP address. That's bizarre. While Adidas may have good intentions (read: to slow down resellers), it seems as if the company didn't stop to think about families in single households. But the problem goes beyond the husband and wife who want the same sneaker: What about people who live in dorms or people with roommates? One solution, in cases like these, could be that one person uses a home WiFi signal and the other a hotspot device, which would relay a different IP address. But most people don't have that option. All told, we ended up with roughly $800 in pending charges from Adidas, due to the failed orders, and only one pair of Yeezys. Jaime Rojas, a retail associate at The Mag Park, an apparel boutique in Burbank, California, doesn't see a problem with the company's approach. "Adidas isn't doing anything wrong in particular," he said. "They have released the most popular shoes of the past year, so the demand is just so big that it's bound to happen, and people will [complain] and get mad at something Adidas has no real control of." Rojas noted that he could be considered a reseller, since he's purchased Yeezys in the past and sold them for a profit. "There's no right or wrong thing these companies are doing. It's just hard to try to figure out how to control [resellers], which is kind of impossible," he added. Other interested consumers had it worse, though. If you look at the replies to this Adidas tweet, in which it let followers know that the Yeezy Boost 350 had sold out, you'll find a barrage of angry replies and sad memes -- including, yes, the notorious "crying Jordan." It took less than two hours for Adidas to sell however many Yeezys it made available that day. "The Yeezy Boost franchise is experiencing unprecedented demand from customers worldwide and Adidas Originals continues efforts to provide an amazing purchase experience. After every limited release, we work to improve our back-end and front-end systems to accommodate the growing demand -- a commitment squarely focused around providing a fair and unbiased purchase experience. Adidas Originals continues to develop programs like Adidas Confirmed which is a revolutionary tool meant to automate the sneaker lottery system, but we are aware that not all demand can be supplied. We value feedback from customers -- good or bad -- on their purchase experience, as it only helps to improve the system moving forward." Last year, Brandon Beaty, the director of brand communications at Adidas Originals, told me the business strategy around Yeezy Boost was a work in progress. "One thing we could do, is you make more product available and then it doesn't sell out as quickly," he said. "That's not something strategically that you just turn the faucet on right away. We have a plan; we're going to build that business, in a very smart way over time." Of course, you can always buy at launch from third-party retailers, such as Eastbay, Finish Line and Foot Locker, but those websites are riddled with bots. That's one of the reasons Adidas created the Confirmed app. As for Adidas' own site, one of the customer service reps I spoke with put it simply. "I don't think our website has the capabilities of handling this [Yeezy Boost releases]," she said. For sneakerheads who want Yeezys in their collection, though, there might be light at the end of the tunnel. Back in March, Kanye West said in a tweet that Adidas was "making a million Yeezys this year," which would help meet part of the insane demand for them. But then again, he also said The Life of Pablo would never hit Apple Music, and we all know how that turned out. Take that as you will.